The Stepper Motor Training System (SMTS) is a self-contained unit that connects to a PC through USB. The SMTS is designed to teach the principles and operations of stepper motors and can be used as an application for programming, providing experience into the many applications of stepping motors. Stepping motors, are motors which rotate one step when supplied with a pulse. Typical applications include CNC machine tool drives, X-Y plotters and Printers. The control signals required are almost always the same, regardless of motor size. The system comprises of four Stepper Motors and includes an interactive software program. 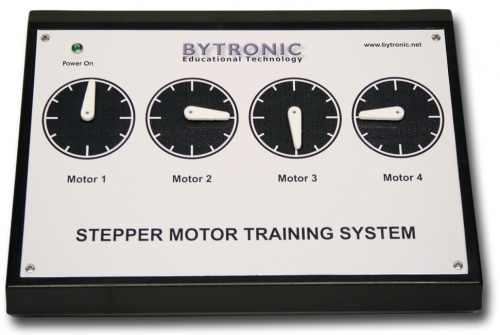 The software introduces the principles of stepper motors, their use and control. The software includes questions and answers to allow the teacher to evaluate the knowledge of the students.